Let guests start their journey right on your brand site - feature all your properties professionally and enable instant bookings using Real Villa theme. Real Villa is a simple and easy to use, modern and creative, user friendly, responsive design template. This fully responsive HTML5 Template will greatly improve your internet presence. It has a fully responsive width and it adjusts automatically to any screen size or resolution. The theme can be used for villas, apartments, guest houses, or other property types - present each of them effectively and rent out profitably. 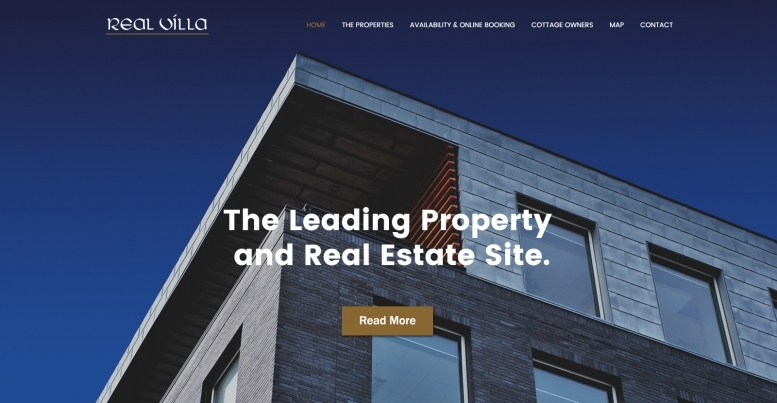 The homepage of Real Villa features an appealing banner slider with multiple images. There is an about section, which displays different subsections along with their images. Also, there is a featured properties section which shows a list of popular properties along with their amenities detail and their picture. 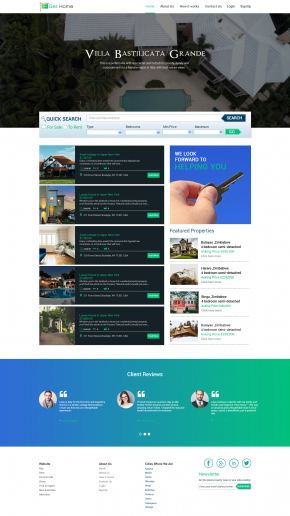 The testimonials section displays the testimonials of different agents along with their picture and the description and links to their various social media profiles. The footer has links to all the popular social media websites and to important pages of the website.